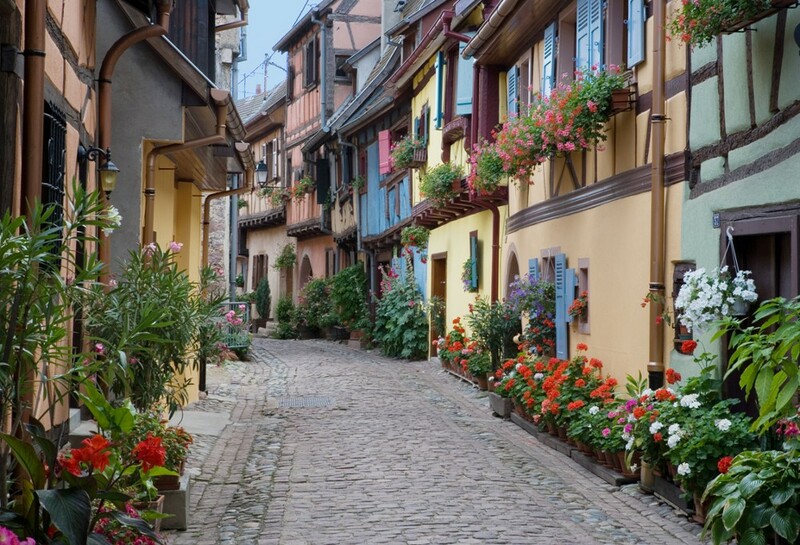 The Porsche Alsace Champagne and Paris luxury trip will take you from Stuttgart to France to two of the famous wine regions of France – Champagne, and Alsace then to Paris. 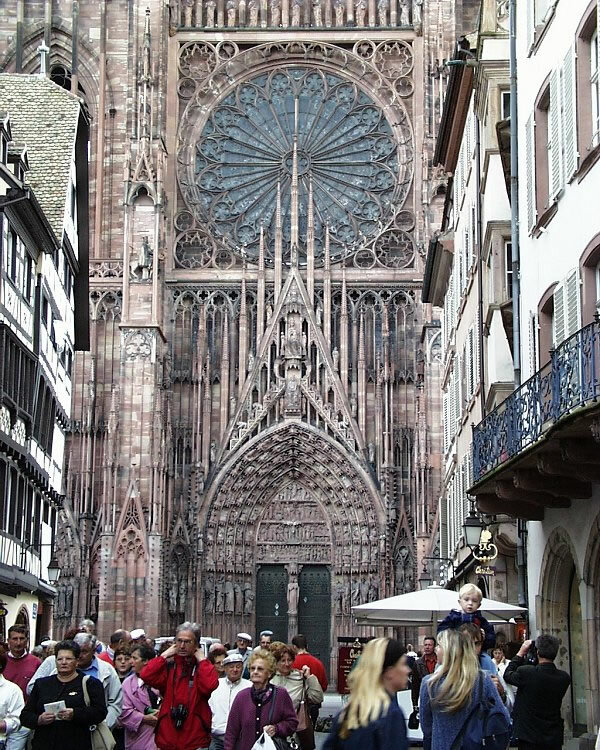 The Porsche, Alsace, Champagne and Paris luxury trip will take you from Stuttgart to France to two of the famous wine regions of France – Champagne, and Alsace then to Paris. This luxury trip includes 5-star hotels, Michelin starred dining, Champagne in Reims, and best of all you will have the opportunity to drive a Porsche GTS 911 on the unlimited speed Autobahn! Our "Cars and Wines 2020" will be published soon. Don't miss it, register only. Call 301 364 5050 for info. Landing in Stuttgart early or mid morning, a taxi ride to our hotel will take +/- 30 minutes. Frankfurt is at 1H30 by train. 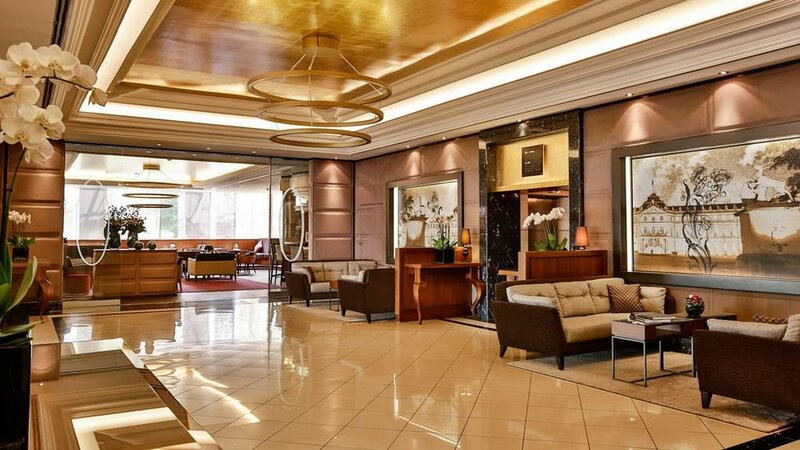 Your hotel is the Althoff Am Schlossgarten, a luxury property part of "The Leading Hotels of the World®" association. This 5-star hotel situated in the castle gardens of Stuttgart is in immediate proximity to the train station, the Königstraße shopping district as well as many cultural institutions including the city theater, the famous ballet and opera house, the city gallery, the castle. Arriving a day early is usually recommended for all tours in Europe; let us know please. The afternoon is yours for a nap if you wish, or, sorry for Porsche die hard aficionados, an afternoon visit to the Mercedes museum (superb, a must). To welcome you, a light first convivial dinner will be in a Weinhaus (wine house), a short walking distance from the hotel. Well deserved first night at the ****Hotel Althoff Schlossgarten. 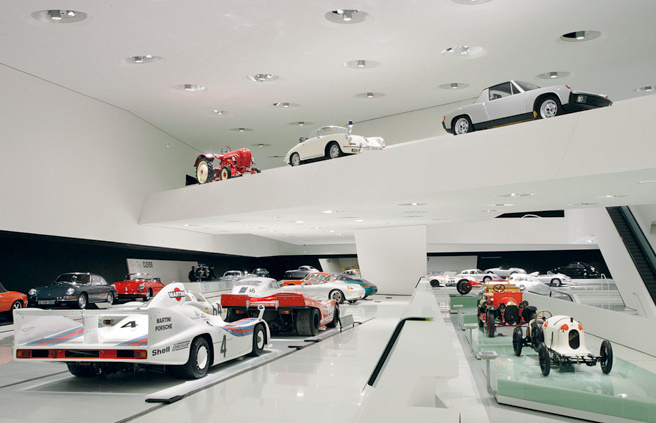 We start with a visit to the Porsche museum. It is time to set your hands on a steering wheel adorned with your favorite crest! After the necessary paperwork (quick) you will pick up your 911 GTS, and the German Autobahns are yours until tomorrow late morning! If you would like to drive another model such as Boxster, Cayman, Panamera or a Cabrio, please let us know (available choice cannot be guaranteed by Porsche). Sections of "no speed limit" highway are around 20 kilometers from the Porsche facilities; the famous German “Romantic Road” is also 1 hour away. PLEASE NOTE: ONE PORSCHE PER ROOM. Please Request a quote at info@froggytravel.com if you wish to have two cars at your disposal for this afternoon. 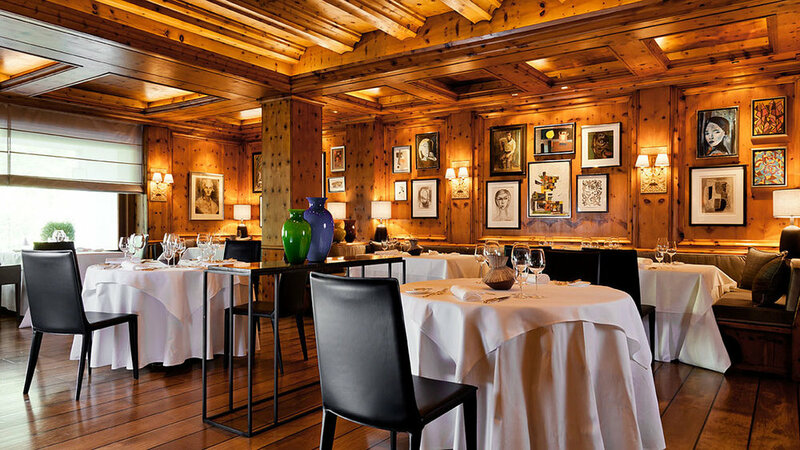 You will dine in a our first Michelin starred table, outside Stuttgart. Second night at the Hotel Althoff Schlossgarten. After dropping your Porsche at the museum late morning; after a light lunch is a biergarten we will board a train for a 1 hour journey to Strasbourg and the Alsace region. Relaxing afternoon on your own to discover the area around your hotel, home for 3 nights. We are in France! Markets are closed on Sundays so.. on Monday most of the restaurants shut down! We will enjoy your first Alsatian dinner at S'Burjerstuewel or Maison Kammerzell at the foot of the Cathedral, very traditional tables typical of the region. Our hotel for these three nights is the beautiful 4-star hotel Cour du Corbeau, a classified historical monument where each room reflects a small part of the history and culture of the region. This morning, we will follow a guided visit of this old city with a very long and turbulent history being located at the border of France and Germany. Then, mountainous landscapes, charming villages and wine tasting are on today's program .The very Alsatian villages of Kaysersberg, Obernai, Colmar and the Haut Koenigsberg castle are on the road; . Although some of these villages look like Walt Disney studios built them, they were there in Medieval times. Alsace is known mostly for its white wines. The region produces a large variety of "cépages" such as Riesling, Sylvaner, Muscat, Pinot Noir, Pinot Gris, and the highly aromatic Gewurztraminer. The 15,298 hectares (37,800 acres) of classified "Alsace" represents 119 villages and 150 million bottles a year. Simple lunch in a village. 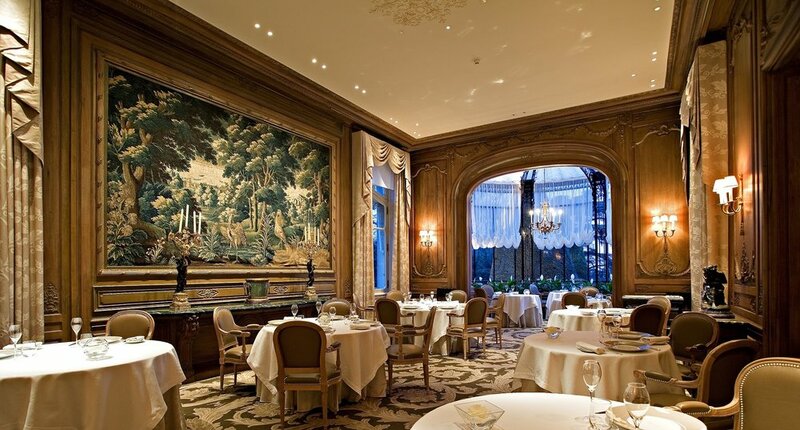 In the evening, dinner at the exceptional table of the "Crocodile" a Michelin starred restaurant. Second night at La Cour du Corbeau. 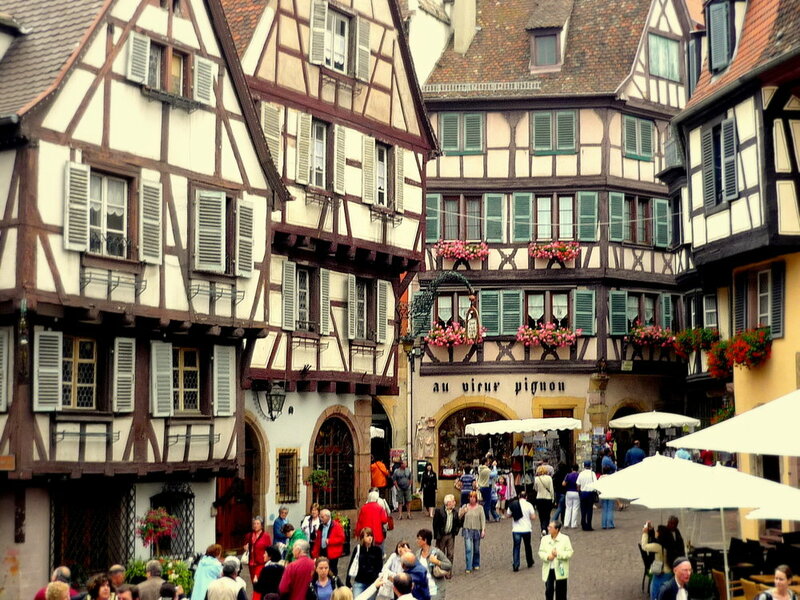 day 5 |ALSACE, CHAMPAGNE AND PARIS LUXURY TRIP. 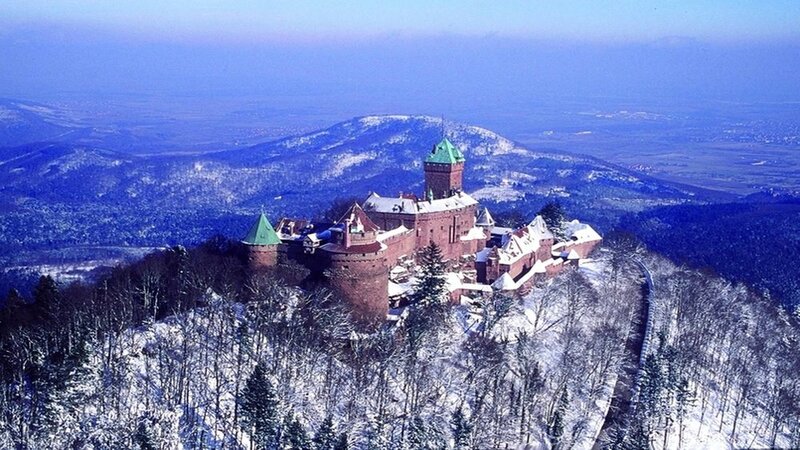 Another day on Alsatian roads and a visit of the Haut Koenigsberg castle. Back late afternoon in Strasbourg for dinner on your own. Our last day in Alsace will include a visit of an exceptional museum, unique in the world…a surprise for car lovers and a lunch at a farm in the Vosges mountains, a splendid setting before an afternoon drive west to dine and sleep in le Chateau des Monthairons. day 7 |PORSCHE, ALSACE, CHAMPAGNE AND PARIS LUXURY TRIP. 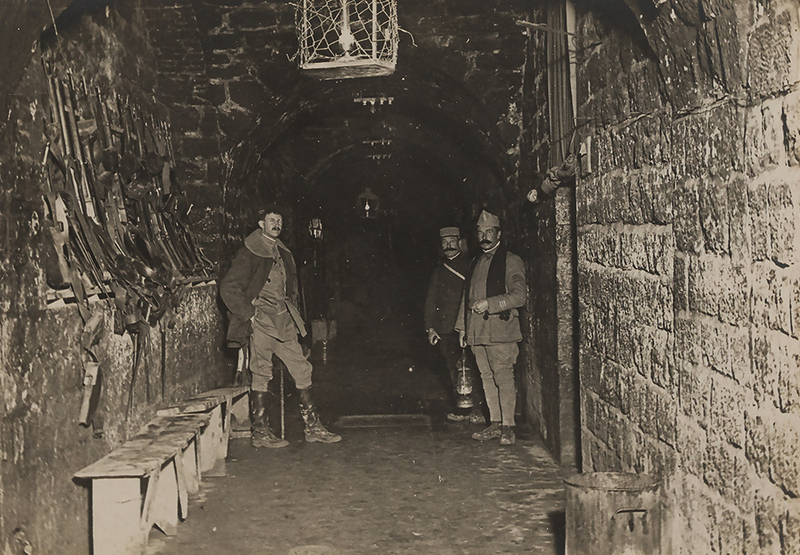 After an early start for a drive to Verdun, we will meet Guillaume, a guide with an extraordinary deep knowledge of the region and WW1; this will allow us to understand better the terrible conditions and courage of the French and English soldiers defending this part of the front. 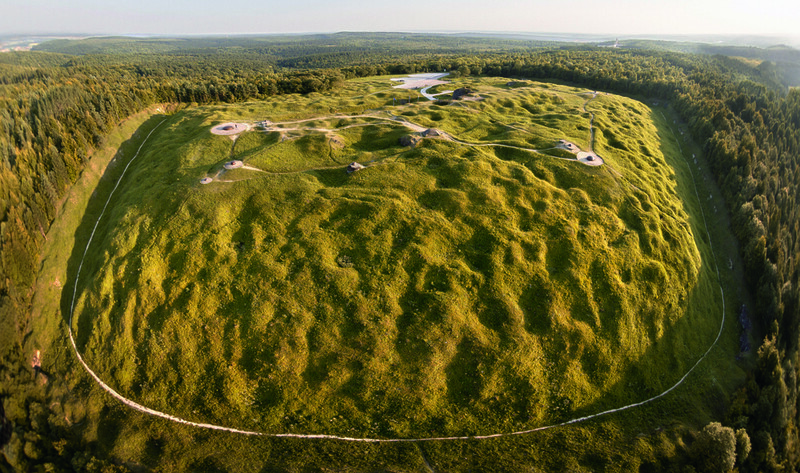 We will stop to see some preserved trenches and drive through a landscape carved by shells 100 years ago. 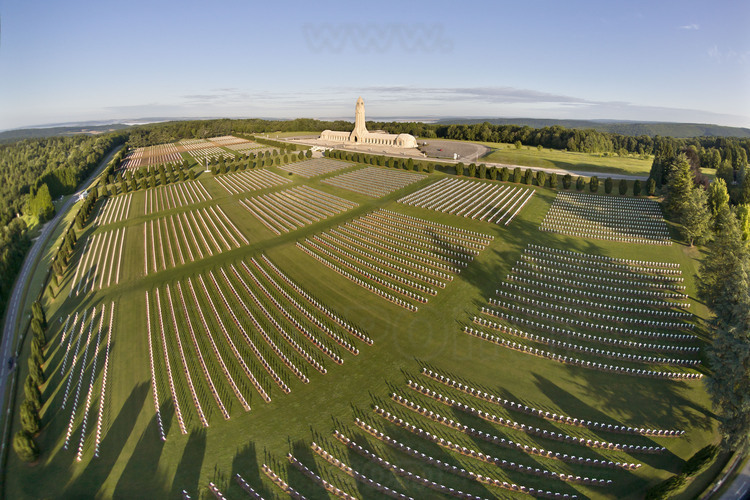 We will also visit the Douaumont ossuary and the galleries under Verdun's fort. 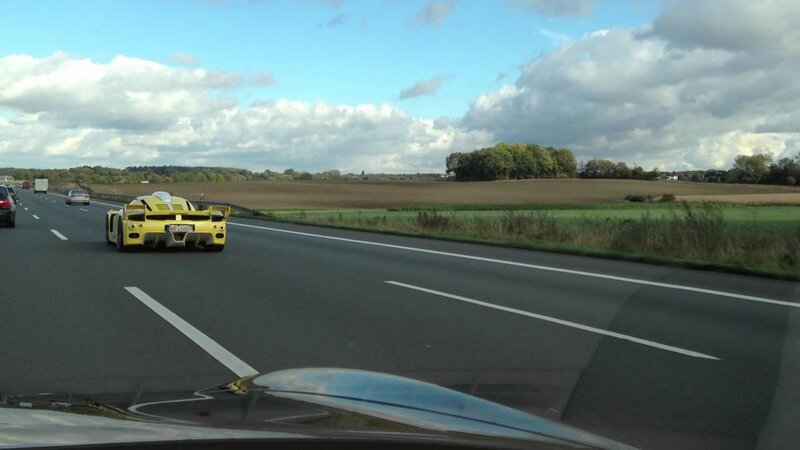 Late afternoon drive to Reims, a two hours and thirty minutes journey. 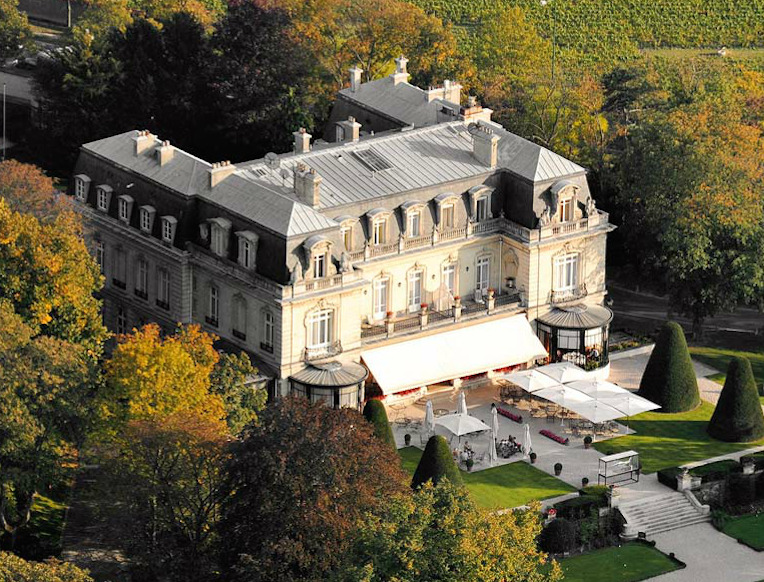 We will dine and spend the night at Les Crayères*****, a superb property located in a park near downtown Reims. 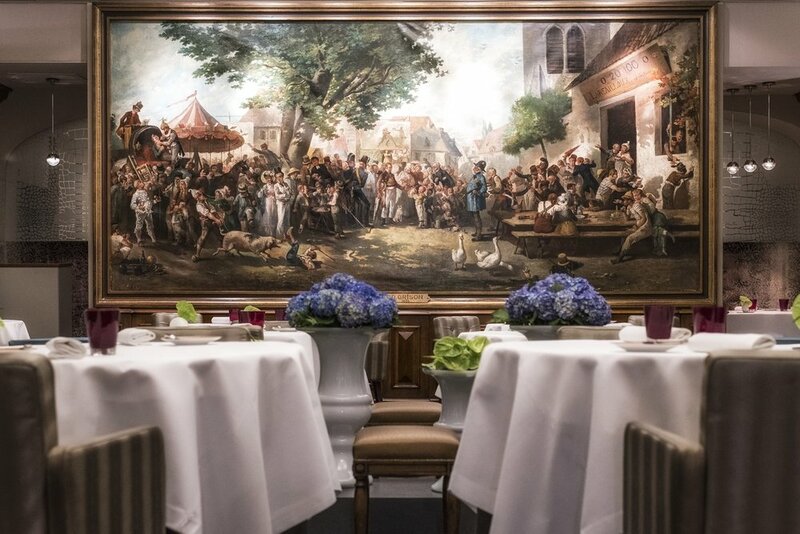 The exceptional table at Les Crayeres is a starred Michelin. 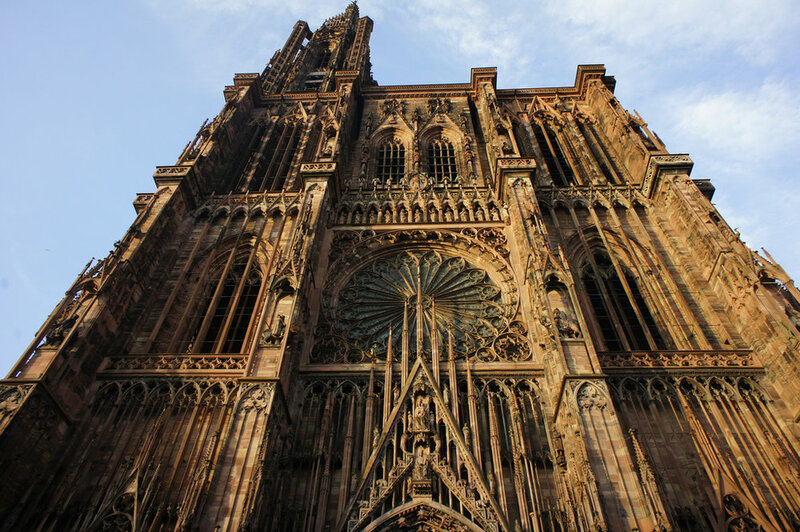 After a morning visit of one of the most beautiful surviving examples of Gothic art the Notre-Dame Cathedral of Reims (registered as a UNESCO World Heritage Site this Cathedral is where many kings of France were crowned), we will discover our fist "maison de Champagne" for visit and tasting. After lunch, another Maison de Champagne will open its door to our group. After these two visits, you should have a full understanding of how bubbly is made! Later in the day we will drive (or board a high-speed train) to arrive in Paris an hour later. You will stay at the charming 5-star Hotel d'Aubusson located in the 6th arrondissement. Intellectual and cultural center of Paris, the neighborhood as an authentic and intimate character. A genuine townhouse, the origins of which date back to the 17th-century, the Hotel d'Aubusson has preserved its old day charms: Versailles parquet, open beams, grand fireplace in Burgundy stone and Aubusson tapestries which inspired the hotel's name. 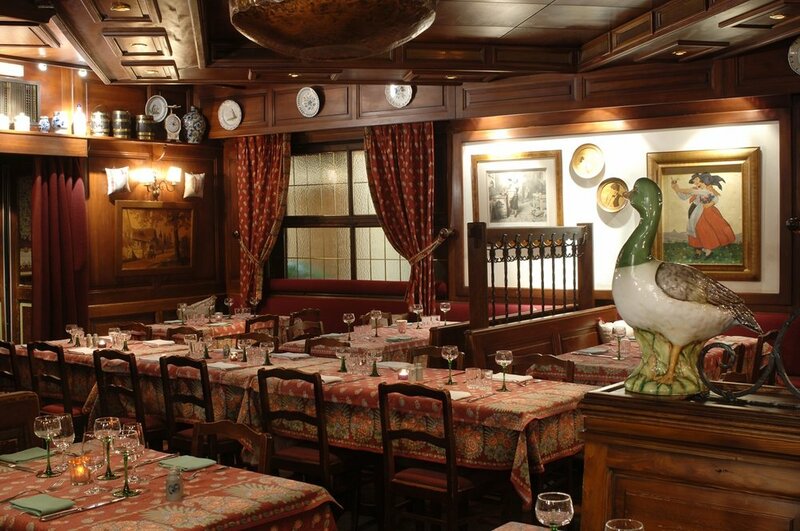 In the evening, we will dine next door at the simple but convivial, very French and good "Chez Fernand." You will spend the day on your own in Paris. You may choose to explore Le Louvre, the Champs Elysees, the Opera, the Marais district, the d'Orsay, Montmartre, Ile de la Cite, or the Latin Quarter! If those ideas don't suit you, your Froggytravel guide can provide suggestions to match your tastes. 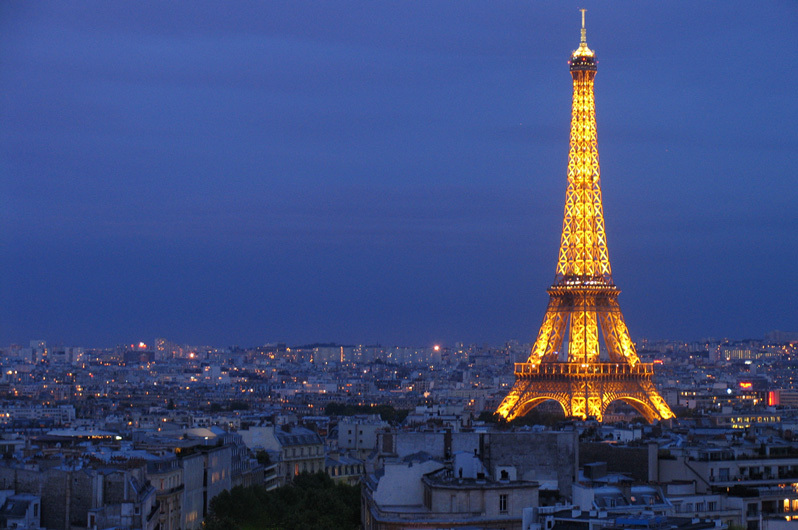 For our last evening together, you will board a cruise ship for a special and unforgettable dinner on the Seine. You will see illuminated Paris banks passing by, from the Eiffel Tower to Notre Dame Cathedral while enjoying excellent food, wines, and service. Second night at the Hotel D'Aubusson. If you wish to spend one or more more day in Paris, the following option are available: a tour of Versailles' castle and gardens followed by a trip to Giverny to visit Monet's house and garden. If you have already visited Versailles and Giverny, an alternative is the Chantilly castle, less known but spectacular, a superb visit. Our "Cars and Wines 2020"will be published soon. Don't miss it, register only.